Automatic rotation - allows kids to jump without anyone holding the rope. Encourages kids to be active and promotes better health. Includes two speed settings and three time settings. 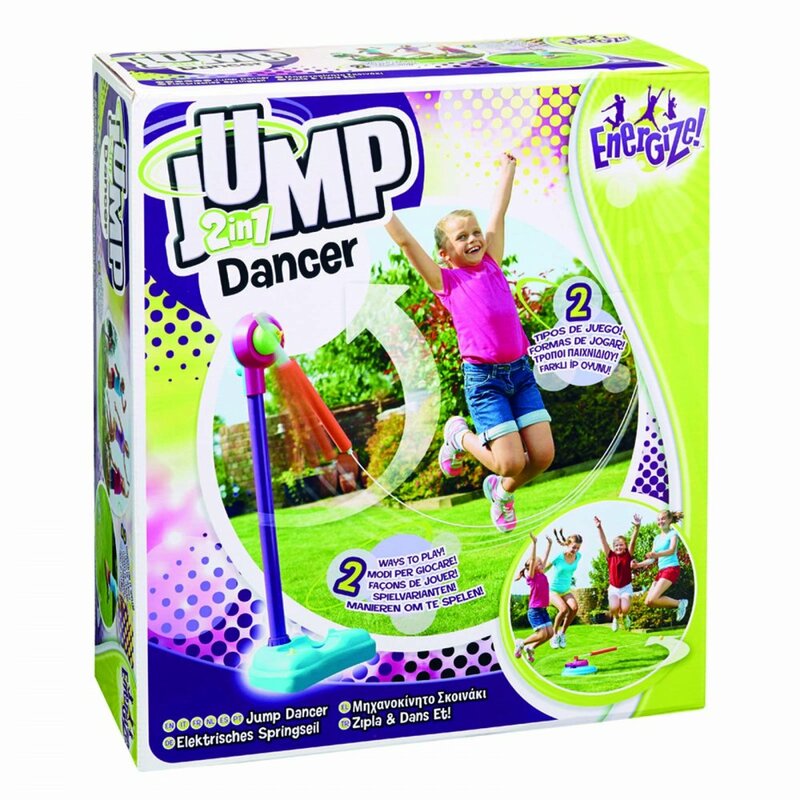 The Energize Jump Dancer gets kids moving. This battery operated skipping rope allows everyone to jump and no one has to hold the rope. A hook on one side of the rope hangs almost anywhere. Hook it up and your ready to jump. There are two speed settings and three time settings. The automatic rotation delivers tangle free fun. Showing 2 Flair Energize Jump Dancer Automatic Skipping Rope Kids Outdoor Game Battery Powered**^ reviews. Average rating of Excellent. Would you like to write a review? Crafty Arts helped make Christmas! !